The city of Chicago contains one of the most vibrant startup communities in the country - a community which welcomes female entrepreneurs in every industry. WiSTEM is 1871’s 12-week pre-accelerator for female founders that was founded as part of the Google for Entrepreneurs’ #40Forward initiative. WiSTEM now has 86 portfolio companies that have collectively raised $7 million in capital and created more than 200 jobs. That success is due to a variety of factors: A strong curriculum which focuses on capital, community and technology resources, and strong partnerships with marquee organizations. 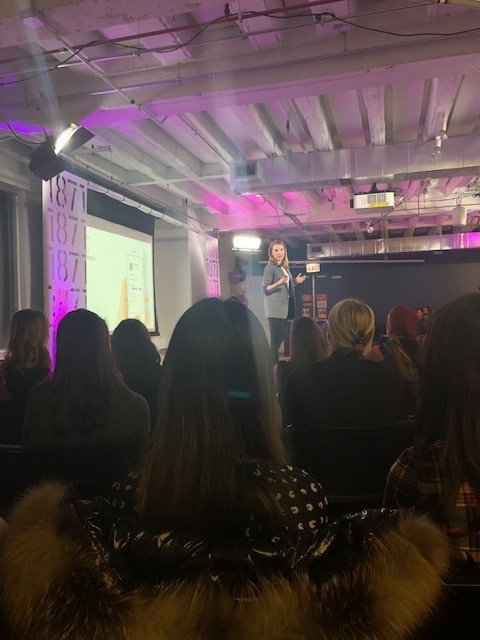 The Chicago Connectory and Bosch also support the WiSTEM efforts of 1871 by providing mentors to the developing entrepreneurs and other sponsorship activities. The showcase event began with networking and opening remarks by Betsy Ziegler, CEO of 1871. Betsy welcomed attendees and discussed the importance of WiSTEM, and other programs like it, for growing entrepreneurs. She also mentioned how incredibly proud she was of how the women of the eighth WiSTEM cohort have learned, celebrated, struggled, and grown together in the past 12 weeks of the program. Shortly after, 10 women founders who were part of the eighth WiSTEM cohort pitched their companies to raise funds, build strategic partnerships and grow their customer base. DesignerShare LLC is a community that allows women to rent their designer clothing and accessories to one another. Explore Interactive brings together the delight of tabletop card games and the magic of augmented reality technology to provide inquiry-based learning and creative building in STEM subject areas. Floracracy has created the first online platform focused on user-personalized flowers. KNTXT Group is revolutionizing the way we experience real estate not yet built. Using interactive VR technology, its platform allows prospective buyers and tenants to virtually walk through and explore every corner of a future property long before it is built. poolside is a new staffing platform for restaurants that attracts and retains talent by giving them more control over their schedule and gives restaurants a continuous pipeline of talent through its labor marketplace. Raven Intel is a free online community that helps customers find, hire and review the perfect HR consulting partner for their HR software project. High Five Movement is a real-time, positive only feedback platform that allows customers to “high five” customer-facing employees to reinforce and reward high quality service. Tobogo Therapies LLC is a comprehensive pediatric speech therapy solutions provider that allows parents to source, book, check insurance, and pay for in-home pediatric speech therapy services via a user-friendly online interface. vPeer is first-to-market with an evidence based peer-to-peer platform to Match-Meet-Mentor, and Make Greater Impact. 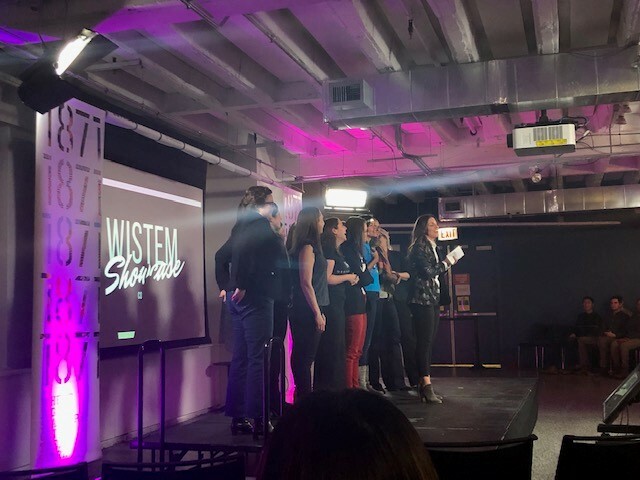 After the event, the 10 WiSTEM startups become alumni of the WiSTEM program, which is currently 98 alumni strong and includes 110 female founders. Congratulations to these 10 amazing companies and their inspirational women founders!